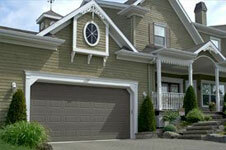 All About Doors is your local, leading commercial and residential garage door repair company. We've proudly served the Howard County area since 1999 and have become the most trusted and respected name in the garage door repair and installation industry. All About Doors holds the values of transparency, honesty, and customer service in the highest regard, and we consistently deliver those values to our customers. When searching for a garage door repair and replacement company, you need to ensure that your best interests are at the forefront of the partnership. Unlike many of our competitors, we never recommend services or replacement parts that you don't need. We will diagnose the problem, explain it thoroughly, and fix the issue to your satisfaction. We are fully staffed and equipped to handle any garage door request or problem. Our team of expert technicians specializes in fixing any garage door repair, garage door replacement or garage door installation. Simply put, if your garage door needs it, we can do it. All About Doors also offers routine maintenance on your garage doors. Quite often routine and preventative maintenance can keep your garage door functioning smoothly for years to come. Trust the experts at All About Doors for all of your garage door repair and maintenance needs. Other areas of service include garage door repair in Elkridge MD, Clarksville, Columbia, Dayton, Ellicott City Maryland, Fulton, Glenelg, Glenwood, Hanover, Jessup, Laurel, Lisbon, Marriottsville, Mount Airy, Savage, Sykesville, West Friendship, Woodbine and Woodstock, MD. Garage Door Repair in Columbia MD | AllAboutDoors.net - Contact Us Today!